The abolition of visas for Ukrainians depends of that move. 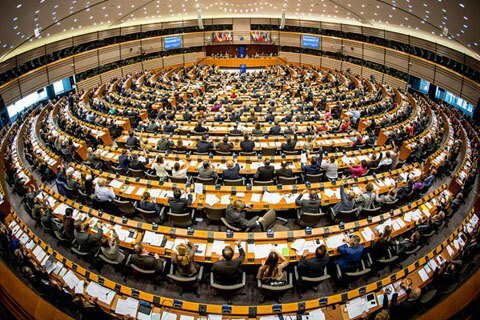 The European Parliament plans to consider the mechanism for the suspension of visa-free travel for third countries in January, EP said in a release on 29 November. The plenary session, which will discuss the issue is slated for 18 January, 2017. Earlier, EU institutions have stated that the entry into force of visa liberalization agreement for Ukraine to be held simultaneously with the introduction of a suspension mechanism of visa-free travel for third countries. The former Ukrainian Ambassador to Croatia Markiyan Lubkivskyy said that Ukraine should have insisted on the application of the "Balkan-type" visa-free suspension mechanism, adopted by European Parliament in 2013. President Petro Poroshenko has said that Ukraine has fulfilled all the 144 requirements of the European Union to ask visa-free travel with the EU.